Tuners who use L-levers push to flatten strings, and pull to sharpen them. On verticals, tuners who use C-levers do the same; but on grands, they do they opposite: They pull to flatten strings, and push to sharpen them. Tuners who use L-levers are used to working with their hands widely separated. 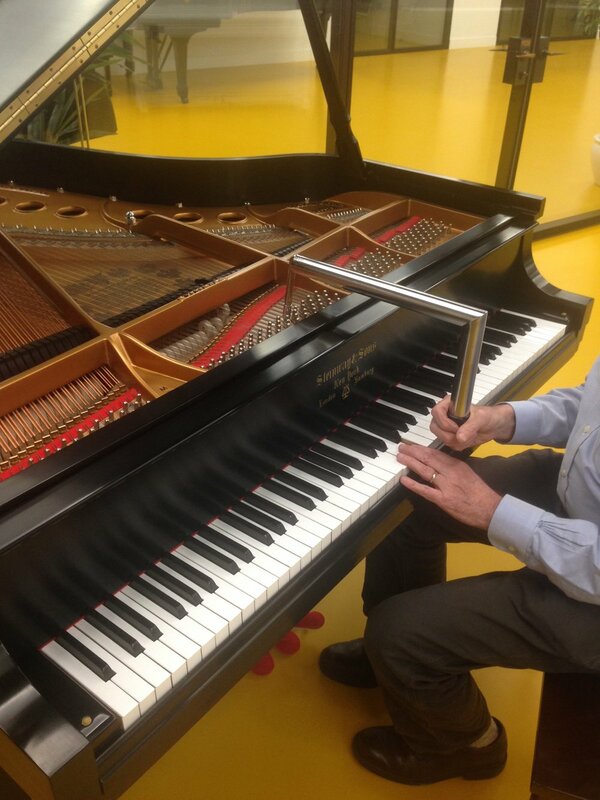 On verticals, tuners who use C-levers separate their hands in the same way; but on grands, they often find that their hands getting in each other's way. For both reasons, switching from an L-lever to a C-lever is typically effortless for verticals, but requires some relearning of technique for grands. ...and whether you're tuning a grand or a vertical. ...but on grands, you pull to flatten and push to sharpen. ...but when you tune a grand with a C-lever, your hands can get in each other's way.